Earlier this year, Swatch released its very first ‘smart’ watch in the form of the Touch Watch Zero One, a fitness tracker specifically for tracking the movements and games of beach volleyball players. However, we had heard previously that the company planned to launch a watch with NFC for mobile payments. Whatever happened to that? The Wall Street Journal reports that such a timepiece is still on the roadmap for Swatch. The newspaper says that though Swatch has dismissed the concept of a smartwatch and continues to maintain that it is not in the business of making consumer electronics, it will offer some smart functionality via NFC, including mobile payments. The company has apparently already signed payment deals with two banks and a one major credit card company (though which one remains a mystery) and will incorporate NFC across its high-end and low-end watches to enable support for mobile payments as well as other tasks that rely on NFC. 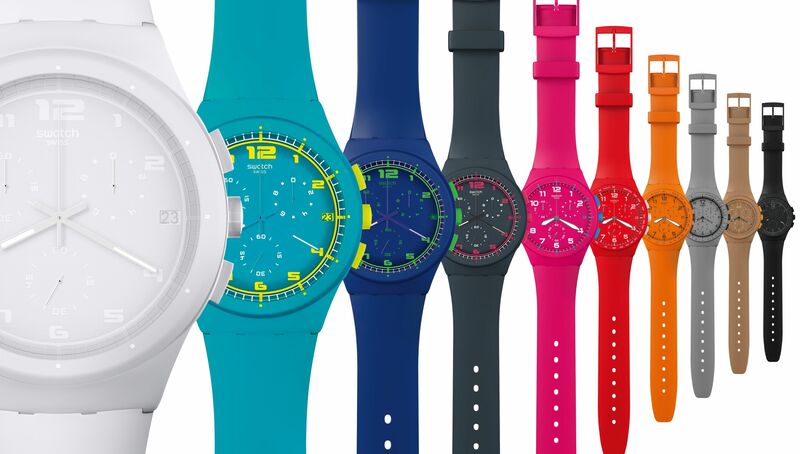 One thing is clear, and that’s Swatch’s position on smartwatches. Though the company may be relenting to some extent, it seems very against creating a device that matches the Android Wears and Apple Watches of the world blow for blow. However, while cashless payments are certainly the most prominent use of NFC, there are numerous other ways in which this technology can be used, including locking and unlocking doors, sharing data, as a replacement for a transit pass, and in place of passwords. Swatch might be resistant to the idea of a smartwatch, but NFC-support is pretty smart. No word as to when these NFC-enabled watches will be available but we do know that they’ll be built into the company’s existing line, so don’t expect a whole new device.